Marijane Scott uses the finest materials and processes available at this time. The artist takes the time during a Design Consultation to determine your portrait goals and how we can achieve them together. You'll feel like shedding tears of joy when you see your images projected for the first time, as well as when your portraits are ready or you receive your money back. Marijane's passion for photography began as a child of four, when she watched her dad take amateur portraits of her siblings with an 8x10 view camera. Standing under the black cloth, viewing them upside down and backwards, she assumed that's what all grownups did. By the time she was 13 years old, she was already creating portraits for clients in her own darkroom. Master of Photography degree in 1987, the highest degree bestowed by the Professional Photographers of America. The Certified Professional Photographer degree was conferred upon her in 1982 after demonstrating exceptional technical knowledge, competence and versatility and satisfying a thorough review of personal and business ethics. The Professional Photographer's America used her work in Baby Talk Magazine as part of their campaign to advertise its members as Storytellers. Marijane's photography has been exhibited from Belgrade, Yugoslavia to the United Nations headquarters in New York. 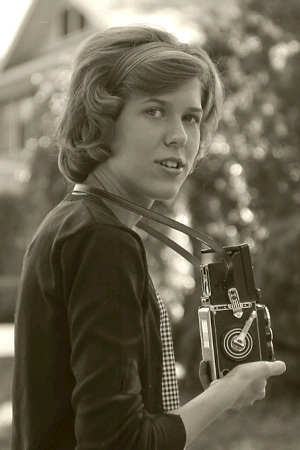 Eastman Kodak Company honored Marijane by including her storytelling portraits in a book, The Portrait, about techniques and practices for portrait photographers. Kodak has also used Marijane's child portrait images as a part of a marketing campaign to promote imaginative solutions to portrait photography.